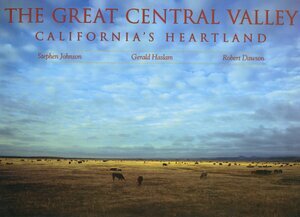 This marvelously evocative book by Stephen Johnson, Gerald Haslam, and Robert Dawson—all natives of the Great Central Valley of California—is the first to explore in detail the rich natural and social history of the state's agricultural heartland. Gerald Haslam's text celebrates the tenacious people of the Valley, where hard work and ingenuity are the means to both survival and success. This is land that gives little but yields, under pressure, to creative experiments with unusual crops. Stephen Johnson's and Robert Dawson's stunning photographs reveal the immense beauty of the region as well as the delicate relationship between the land and the people who work it. The Central Valley is California's economic hub as well as its physical center. A plain some 430 miles long and up to 75 miles wide, surrounded by mountains and covering nearly fifteen million acres—about the size of England—this valley has become the richest farming region in the world. More than 25 percent of the table food produced in the U.S. is grown here. Its southernmost county, Kern, produces more oil than some OPEC countries. The Valley is as rich in people as it is in resources. Tagalog, Hmong, Spanish, English, Cantonese, Russian, Italian—all are spoken here. The population of farm laborers, small family farms, powerful agribusinesses, and, increasingly, urban professionals make the region's economic disparities as palpable as its cultural diversity. The Valley has also produced a wealth of writers—Maxine Hong Kingston from Stockton, Richard Rodriguez and Joan Didion from Sacramento, Gary Soto from Fresno, among others—as well as the award-winning El Teatro Campesino (The Farmworkers' Theater). But the Valley is imperiled. The past 150 years of massive agricultural expansion and population growth have systematically destroyed much of the area's original wildlife, and the "plain of majestic oaks" seen by early travelers has vanished. The region is also plagued by a host of critical issues: chemical pollution, soil erosion, water politics, the treatment of minorities, economic inequities, farm foreclosures. 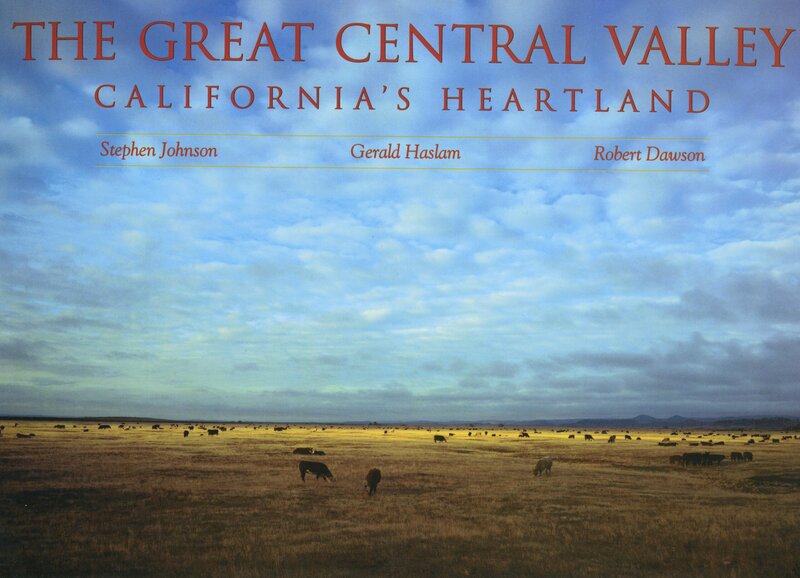 Johnson's and Dawson's photographs—which are complemented by engravings by Thomas Moran, paintings by Albert Bierstadt and William Hahn, and photographs by Carleton Watkins, Dorothea Lange, and Russell Lee, among others—bring home to us, as only visual images can, that it is up to us to safeguard the future of this endangered valley, to conserve its extraordinary human and natural wealth, and to try to reclaim some of its lost grandeur. Stephen Johnson teaches photography at Skyline College and the College of San Mateo. He edited and designed At Mono Lake (1983). Gerald Haslam is Professor of English at Sonoma State University and the author of That Constant Coyote: California Stories (1990) and Coming of Age in California (1990). Robert Dawson teaches photography at San Jose State University. His Robert Dawson Photographs appeared in 1988.